Home Blog My favorite new flower variety…which I’m giving away! My favorite new flower variety…which I’m giving away! Congrats to the four winners of yesterday’s sweet pea collection giveaway: Christina Ariel, Karyn R, Julia of Fairview Farm and Jennifer Bingham! If you follow along on Instagram, you may remember a period of time last summer when I went a bit crazy sharing photos of a little flower that stole my heart: the scabiosa-flowered zinnia. This little darling was such a joy to discover and I had so much fun designing with them AND decapitating them to create seas of ombre blooms to photograph. I love the frilly, frosting-like texture of this particular zinnia. Some people have described them as looking more like a gerber daisy than a zinnia, much less a scabiosa. I think these extra frills make them a tad bit more sophisticated and feminine than a standard zinnia, and I love tucking a few into wedding designs where a regular ole’ zinnia would not have worked. Zinnias, in general, are one of the easiest flowers to grow and they are the perfect flower for beginning flower farmers and gardeners to incorporate into their plots. To help new growers, I recently created a little “Grow Great Zinnias” booklet with all of my tips and tricks to growing this staple cutting garden flower. Because I’m so in love with this flower, I went to great lengths and brought in special seed from Europe just so that you can grow some in your garden this year too. Now I want to spread the love and offer a little giveaway of a packet of scabiosa-flowered zinnia seed to five lucky winners. A limited quantity of scabiosa-flowered zinnia seed is now available for purchase through the Floret Shop. Finally, a couple quick growing notes from last season: I found the scabiosa-flowered zinnias had slightly lower germinate rates than other zinnia seeds, but they performed unbelievably well once the plants got established. I had about 70% doubles which I used for event work, while some of the singles got incorporated into mixed bouquets. They are such a great little flower, and I can’t wait to grow more this season! These look sooo like scabiosa, a long-time favorite of mine, as are zinnias. So when I first saw this hybrid i could not have been more thrilled. It’s a match made in heaven. your images are exquisite. thank you for sharing. I’m crazy for zinnias. I plant waves of them (all heights) among vegetables in my garden wherever I need a spot of color. It’s so fun every spring to see the new varieties and colors. Zinnias are my primary annual to grow in the summer where I live in Central Florida. Zinnia will do their best to put up with our heat and humidity, especially the ‘Cut & Come Again.’ I love Zinnias as cut flowers. I saw the Zinnias with the tufted centers for the first time in October in my Aunt’s garden in Connecticut and I absolutely love them and want to try them. I love the giant zinnias and the green envy and the profusion….I love them all! I love any and all zinnias, a love passed down from my precious mama! She plants her zinnia garden every year, and I follow her cue! I would love to try this new variety, and share a few with her! I usually like the green envy but now I have found my new favorite! Scabiosa flowered Zinnias! What a perfect combination of two of my most favorite flowers. I have always grown the tall Zinnias. I love that they are so reliable to bloom all summer long and have such vivid colors. A friend gave me some Zinnia seeds and said I’d never seen a Zinni like this one. They had a sprawling habit and were covered with what looked like tiny Black eyed susans. They quickly became my all time favorite. I saved some seed but I had misplaced them. I was so sad because I couldn’t find them anywhere online. I finally found them! I was so happy. I just hope they sprout because they are over a year old. I would love to give these scabiosa-flowered zinnia a try. I love Zinnia’s my grandmother always grew them in her huge garden and she taught me how to save the seeds every year. My favorite is now is Zinderella Lilac…..
I’m looking forward to planting the Zowie hybrid this year. In past years the tropical orange and purple mix have been favorites to brighten up my vegetable garden. I am new to zinnias, as the only one’s i know are the ones that line a small garden on the Tom Road. I see them as i am about 2 1/2 miles into my 4 mile exercise loop. They make me smile each time, their little bright blooms urging me to keep going!! 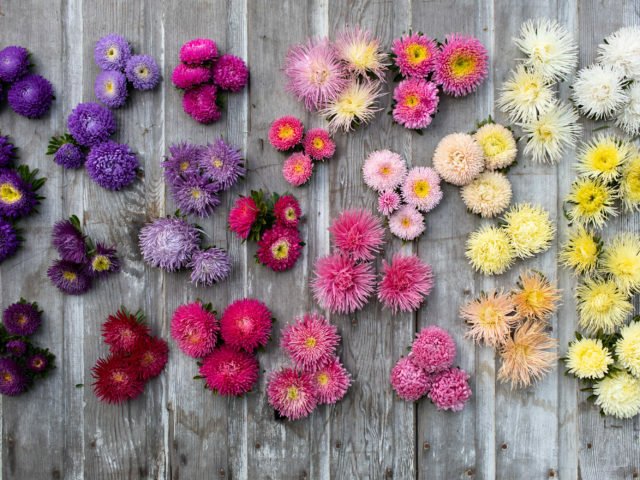 Oh my, at this point all colors of the Zinna would be fun to play with in my garden as I’m ready to learn more about them since they truly make a happy presentation in the garden and in a vase… Looks like a fun journey to find your favorites and I’m happy you share your finds…. Thanks so much! Love so many of them but Persian carpet zinnia is a fun one for me. Thanks for your kindness to so many. I don’t know much about Zinna varieties to be able to say which one is my favorite. I love their shape and the bright colors. I love the Benary’s Purple, Orange, Pink and Coral. I just love them. Thanks. Truth is, I’ve never had zinnias. I’ve been a flower artist for about 2 1/2 years now, and opened my first shop this past year. I’m humbled by my lack of knowledge of flowers, but it is my dream to plant these & watch it grow. For me, planting these seeds and watching it grow would not only be therapeutic to me but would brighten up my community. Downtown Los Angeles isn’t the prettiest of places, my husband and I run a men’s recovery home and I’ve really tried to create a sanctuary of flowers and plants for these men , my flower shop is small but I pray in time I can plant many flowers for years to come. Queen-Red Lime is such a unique colored zinnia, I fell in love with using this flower in arrangements. Vintage, charming, productive, it is a great zinnia! Benary’s Giant are the workhorse but I love the cute little Sunbows from Johnnys. They are prolific, make everyone smile and are perfect for my 5 year old to make his own bouquets. I’m curious if there is any good info on saving zinnia seeds. How far do you need to isolate different colors for purity? I love the Queen Red Lime! Starting my seeds in zone 10 this week! :) These scabiosa variety are delicious!!! I’m becoming partial to the lime and dark purple varieties. These would be a wonderful addition to my cut flower garden. Thanks for the chance to win. I’ve been totally struck by miniature zinnias in the past few years, so much cute packed into such a small bloom! I’m a big fan of any green zinnia as well. The scabiosa zinnias are like teddy bears to sunflowers. Queen Red has been my favorite for several years, but these scabiosa flowered are new to me. They may become my new favorite. 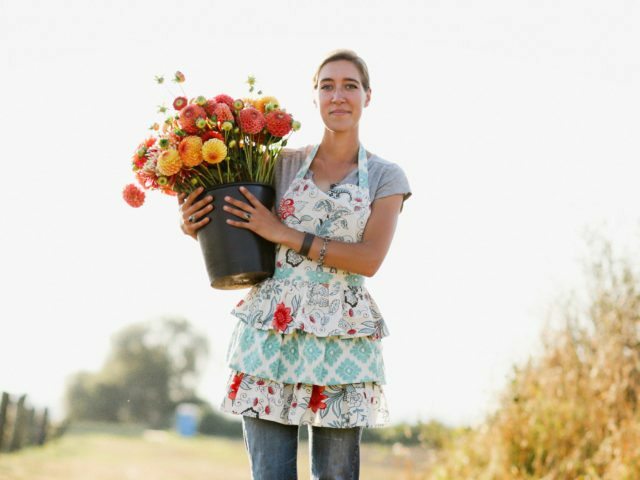 Thanks for all that you do, you are a great inspiration to this very seasoned flower farmer. It would be grand to include these zinnias in my kitchen garden. I particularly like any variety of pink zinnia. Thank you for the chance to try these. It would be grand to include these lovely zinnias in my kitchen garden. I particularly like any variety of pink zinnia. Thank you for the chance to try these. This will be my first year growing zinnias, and I am so excited about it. It would be wonderful to add your seeds to the mix! I currently do not have a favorite zinnia. Last year was my first year of growing them and I am still experimenting. I do really like the very intense colors and the whites. I may be laughed at. I love the Bernary, salmon rise but really I just love all zinnias, love this newest variety, was wondering where you’d gotten them from, I just have to have done of these, love, thanks for the give away Erin. The scabiosa flowered zinnias are a prize to find amongst all the big benary’s, queen red limes, peppermints, dahlia-flowered, sunbows and and Persian carpets even if their performance is a bit haphazard. I had to write in because no one has mentioned the Bonitas–peruvian zinnias, red and yellow–sometimes available from Select Seeds. Tall, wiry stems, 3/4″ single flowers. I prefer the red–more gouache than jewel-toned–probably always relegated to a supporting role in design work but charming as a straight bunch. Sometimes quieter looms larger than bright and splashy. These are so bright and flirty! I couldn’t pick a favorite zinnia but I grew Benarys, Magellens, and Queen series last year. They were all wonderful, but since the Queens were new to me, I had fun arranging them with sedum, wines and apricot colors. I’d love to try these new cuties!! Totally love these! Will have to try these this year! Wow love these and will have to try them this ear. I’ve been growing ‘state fair mix’ it’s really tall and corful! I can’t pick a favorite! They are my all time favorite summer annual. I suppose my favorite would be whichever ones were on my kitchen table that week. My favorite would have to be peppermint stick! Love the little freckles and how every flower is so different! I hope I am not too late. I love the magenta Benary’s Giant! I love most Benary’s Giants, though for a focal flower in bright bouquets with buplereum filler. Nothing says summer here in Montana like Zinnias! I would love to try this new variety. My favorite zinnia is the seed savers exchange heirloom Benary’s giant, though Zowie is fun with the magenta. Having said that, the zinnia you’re highlighting today is positively stunning! Just like your sweet peas, zinnias were the flower that turned me into a “farmer florist”! Love ’em! My favorites are the Benary’s Giants (esp. Giant Lime and Giant Wine), Johnny’s Sunbow Mix, Baker Creek’s Lilac Emperor, the Peppermint/Candy Cane mixes, and the bicolored Carousel/Whirlygig mixes. I’m crazy excited about this giveaway! Thanks for sharing your photos and tips with us, Erin. You are an inspiration…keep up the good work, and may 2015 be the best season yet! Zinnias! Such happy flowers and one that loves to grow in our area! I tried growing zinnias for the first time last year and discovered what a joy it was! As a florist I am drawn to the Lime green but I personally love Red–the bigger, the better! I love the centers to be extra full… Looking forward to growing more this year! Thank you for all of your inspiration!!! My Mom planted zinnias on the day I was born, probably from seed my Grandma saved, so they hold a very dear place in my heart. Mom always sent me a packet of zinnia seed in my birthday card <3. Those were my favorite, and I grow them every year. Zinnia’s were the first flower I ever planted. I was NOT disappointed! Such a nice cut flower. I love them all! Salmon Rose and Will Rogers are my two favorite zinnia to grow.. they both have such gorgeous color! These scabiosa type zinnia are so beautiful and I can see them fast becoming my new favorite. I’d love to add this variety to my garden this summer!! Thank you for the opportunity! Zinnias hold a special place in my heart as they were the first flowers I grew when I was very young and given my own space in the garden. I haven’t grown them for a while, but they are in the plan for this year. Thanks for introducing us to this new variety. One summer many years ago I grew the Red Spider zinnias. They were short, but did not get any mildew and were a nice dark redI was able to tuck them into smaller flower bowls or bouts. These new scabiosas are the Talk of the Town, local florists are along for them! 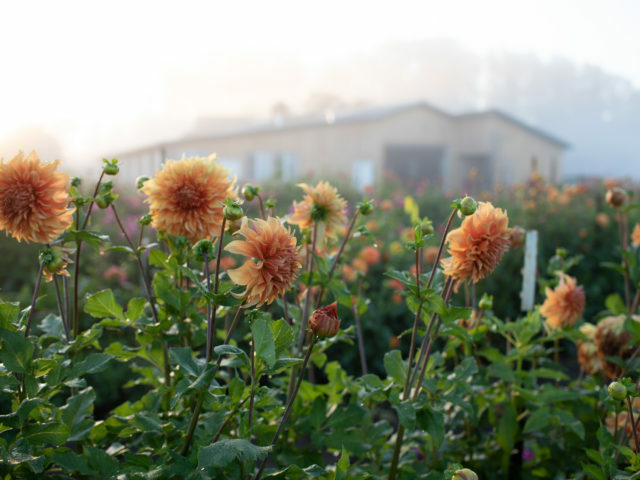 Zinnias truly are the workhorse of all flowers on our farm here in Northern California. My favorite is Benary’s Wine, with the Salmon Rose coming in a close second. Would love to try the fancy scabiosa zinnias! Thanks for sharing. Love those little scabiosa zinnias in your pics. Growing them for the first time this year from seed–but I love the pictures of the giant series..also I’m trying one that looks almost like a cactus dahlia, Burpee Giant Rose Cactus Zinnia. Can’t wait to see what I love! Zinnias are deliciously cheerful and irresistable!! I have been growing State Fair mixes since I was a seed-wrangling kid! My kids love them too…a rainbow of punctuation marks in the veggie garden. At the farm, seeing buckets overflowing with Queen Lime, Uproar Rose, and Salmon Rose all together…well, that is hard to beat!! I grew up in the projects in New York. No flowers, very little grass and trees. Finally I was able to buy an old fixer-up home in the south. It had no flowers, 1 small tree, and needed repair. My grandmother used to have a small 25′ x 75′ foot plot, on which her home stood. Her small property was always covered with flowers. The ones most prominent were the zinnias. I hope to bring that same charm to my new home. I love zinnias but have never seen scabiosa zinnia. Thank you for sharing as it is always exciting to see new varieties of old time favorites. Such a happy flower! After sticking with Benary’s since the beginning, I added “Oklahoma” to the mix last year and loved them! Perfect button size pop of color. I grew zinnia’s for the first time last year. They are such happy flowers to have around. It look like most people enjoy the lime zinnia’s and I have to agree. They add brightness to any bouquet. Benary’s Giant Salmon Rose is a contender to be one of my new to me faves. I also love Queen Red Limes… they change so much as they age. These ruffly little things are just GORGEOUS! I love all zinnias! They are one of my favorite flowers. I enjoy following your journey! Although you have lots of hard work it it seems like it is very satisfying. Love your pictures. Love some Queen Red Lime ! Love that you are offering seeds. Favorite Zinnia…i must say i love the peppermint striped ones, and Orange King…not good at choosing! Love all you are doing for cut flower farming!! what a fun giveaway and how great that you are going to be selling small quantities of seeds! these little gems have lots of personality and i would love to try my hand at growing them! thanks for the chance! My favorites from last summer were pink senorita and the giant lilac emperor cactus-flowered (both from Baker Creek), a sweet little bicolor pale yellow and white zinnia that came out of a package of mixed cupcakes (that were almost all singles), as well as most of the Benary’s giants. Your scabiosa-flowered zinnias are beautiful! Oh Erin!! I was so thrilled to see that I was a winner of the sweet peas!! My boys thought there was something wrong…I had to yelp for joy! Zinnias are an all time favorite, too. This variety looks LOVELY. Wow! They look amazing. Would love to try in my garden. My favorite zinnia is whatever my 3 year old daughter “cuts” aka pulls out of the soil and drags across the yard for me. Usually it’s a pink one with the petals just starting to unfurl! So many beauties it’s hard to have a favorite! Looking forward to trying these, thanks for making them available to us. Uproar Rose and Benarys Giant Dahilia Zinnias are absolute favorites. This year trying a couple new varieties for me – cupcake, zindarella, and inca….would love to try these!!! I love Benarys Giant Lime! I love Queen Red Limes, Persian Carpet and of course all the Benarys. I love the look of these and would love to give them a try! zinnias are such happy and perky flowers in our area. i’ve don’t have a favorite yet. maybe your scabiosa variety will change that situation. variety is Goddess of the Garden. Erin, I love so many flowers, but these Scabiosa Flowered Zinnias have stolen my heart, too! I am hoping to get some planted this spring. Thanks so much for sharing your enthusiasm and love for flowers. The eye candy you provide is a staple in my gray-weather arsenal! My sons preschool teacher grew zinnias and brought the most beautiful bunches to school. My favorite zinnias are the ones grown by Ms. Bailey! Although, for cut flowers, they’re all pretty great. These scabiosa flowered zinnias are my new favorite! But I really love them all, all the bright colors just make me happy! Love both the shape and range of colors in these little tutu’s of joy. They remind me of the collarette dahlias which are said not to hold well as cuts – so great to find something similar that will hold. Along the pond on our property,. I cleared the shore,…. 5 feet back and 75″ long….. I then went to a local nursery where I bought 40 packets of mixed varieties of zinnias ….. I ended up watching my 250 monarchs collect necter from the patch of a Million Zinneas ….. All summer long….. Your collection would do wonders to what may be an endangered species…….. Please. Help me feed my monarchs……. i love all zinnias but my favorite is the miniature multi colored ones. They last for weeks! I love, love, love the Purple Prince!! It looks fabulous in gardens as well as arrangements! Binary green giant! It’s versatile and holds up beautifully in a bouquet! I am a big fan of the Zowie Zinnia. I especially love to mix them with solid color wine and purple zinnia in a bouquet. The bucket of Zowie always sells out first at my Farmers Market stand. Sorry to clutter up the entries with this request. Sadly, I can’t enter the contest for these fabulous scabiosa zinnia seeds, as I know you don’t ship seeds into Canada, but I had hoped to dorwn my sorrows in the lovely pictures I imagine are in your zinnia handbook from your on-line Shop. I tried to place the order, but unfortunately the site wouldn’t let me enter a Canadian Province- so I was unable to complete the order. Help! Clara, email [email protected] and we’ll sort it out! Oh I absolutely have to have these and I think they have reached my fav list! Can’t wait to see them in my field! My heart beat faster when I saw these! My favorite (until today) was salmon colored cactus flowered zins..
Love all zinnias. . . just look like summer! Here at Chica Bloom Farm, we LOVE both scabiosas and zinnias – and the idea of a scabiosa inspired zinnia – dreamy <3 It's hard to say what variety of zinnias are our favorite, as we have grown and loved quite a few over the past 3 seasons. That said, two that often rise to the top, both for their performance and their looks, are the green Envy and the bright yellow and bold magenta Zowie – Yellow Flame! I always like Benary ‘s giant Zinnias because of their great size and bright colors! No favorite type as they’re all cheery and lovely to me!! Always a garden must!! I literally was just hired by a flower farm today and winning these awesome zinnias to grow this coming season would be the cherry on top of a perfect day! Just moved to Texas & want to try growing zinnias here. Zinnias just make me smile! These are so beautiful! I love the antique look of Queen Red Lime zinnias! I love the lime zinnias but haven’t had good luck growing them. The Dahlia flower mix zinnias have done the best for me. Hi! I’m Cat of Westerwisp! I adore green envy zinnia…or any pale green flower really. 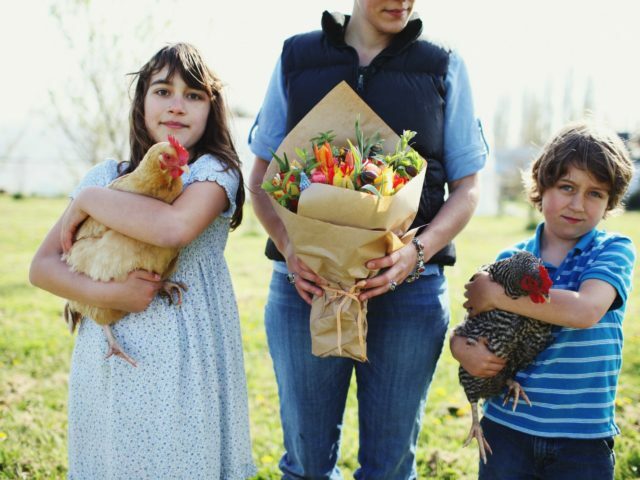 Love your farm, blog and instagram. A longtime fan and a resident of the Pacific Northwest. You rock girl!!! Last year I tried several different colors of Benary’s Giants…..Lost the first planting to a hunger groundhog or deer….not sure which one! Hoping for a better Zinnia patch this year! so lovely! Zinnias are a labor of love for us…short, cool & wet summers are not the best for them, but I devote space, time and love to have them and longingly think of everyone for whom this is a staple crop :) I’m always looking to try new varieties – looking for those that love Alaska! I’m thrilled every summer with the salmon and white Bernery’s that come through! Years ago, when I was first picking up a camera, I did a study of a bouquet that my mother had bought at our farmers’ market that morning. My best picture was of this beautiful purple bloom, gilded with bright pollen and silver dust. It was like a whole little world, just that one flower. I never knew what kind it was, and my mother didn’t either. But now I do: a zinnia! If I don’t win some I’ll buy some, and hope that they grow purple! Just reading the names on the comments the other day on the Sweet Pea post…sounded like still more varieties. Thanks for spurring the creativity of so many and SHARING it!! I’ve never come across a scabiosa or zinnia I didn’t love! Your flowers are truly beautiful. Benary’s Giant Lime is my current fav. I love how well the color blends with so many different colors – especially smoky blue and coral. Would really love to try out these lovelies! These are really neat! We really love the lilac Benary’s giant, which is such a cool color that goes well with all the hot summer tones. I was drooling over your pictures of these little guys all summer! I loved the giant dahlia flowered zinnias last summer too. I’ve only grown Giant Dahlia Zinnias from Johnny’s but am planning on growing Benary’s Mix this season. Though, I recently saw the Zinderella Lilac scabiosa variety and now I wanna get some seeds! I’m a sucker for Pinca- such a cute little flower and great color! I love all zinnias – by far my favorite garden flower! Thanks for the chance to win these little beauties! I was absolutely drooling over the pictures of the zinnias you were posting this year! I’m in absolute awe of Queen Red Lime! I love love love the mix of color in it! I think I love all Zinnias but if I had to choose one it would be the very pale yellow Giant Dahlia variety that I get from Johnny’s Seeds. Most are doubles but some are singles and they are amazing with all my peach / salmon flowers for a great soft bouquet. Would love to try these ones! My favorite zinnia was always the Pink Senorita, but last summer Persian Carpet stole the show! Couldn’t get enough of it, particularly the white ones with a touch of amethyst. This is will be my third year going zinnias en masse. I love the clash of colors and shapes. Sometimes I will coordinate the hues in our bouquets, all nicey-nice like, but honestly, the ones that set my heart on fire are the bunches that are crammed with multiple varieties and colors. Give me bed-headed giant cactus with Benarys and Persian Carpet mixed in!!! I’m a little in love with the scabiosa-type, tried some last year but, like other growers, had a lot of singles. I’d love a packet of Floret/Erin magic. I also leave a few zinnias alone to grow and tumble over (not in the ones in the cutting rows.) Watching the beautiful slow death of a zinnia helps me slow down the pace and be in the moment. For the butterflies, I tell others. Now the secret’s out. I love zinnias!!! I love Benarys giant salmon rose, uproar rose…the cactus varieties are very cool too. Love the colors and happy vibe that zinnias have. Thanks for all of your great knowledge and info. I really love all zinnias! They add so much to my garden. I would love to try this variety!! I love the lime colored zinnias the best! I don’t know the name of my favorite Zinnias as I ‘fell in love’ with those grown in the flower boxes in my towns main village area….so gorgeous! These you posted are beautiful too! Thanks & God bless! All the zinnias! These are so fun, I can’t wait to grow them! My favorite zinnia is “Queen Lime”. The reason I love the “Queen” series is two-fold. The color is a a color that goes with everything. Whether you want to go to bright tones or to the softer pastels. And the stems and necks are tough unlike the “Benary Giants”. I love the Benary’s colors but wish they could breed some strength into there necks. Thanks for the chance to win some, Erin. Benary’s Giant Lime was my favourite from the ones I grew last year. It was my first year growing, and I would really like to try some different varieties this year. Fingers crossed! I LOVE zinnias! All varieties, all colors, anytime, anywhere! The photos are amazing! I have to admit that I’ve never been a zinnia fan… until this collection! This will be my second year planting zinnias from seeds, along with sweet peas! Unfortunately, I did not have a cold frame last year, and my little seedlings drowned in the rain while sitting out in their trays to harden off. A silly beginner’s mistake! I bought a cold frame this year, and I am determined to do it right! The few zinnias that did survive last year surprised me by blooming again and again! They were my most successful cut flower! I told my husband that there will unfortunately be no tomato patch this year, because I need more real estate space to try out more flowers! I don’t have a favorite variety of zinnias, but if I am successful this year, I should be able to try out more varieties. I love that zinnias are so easy to grow & their output just keeps me beaming! They have made me more determined to having the biggest cutting garden possible! The scabiosa variety is just so cute, delicate and playful for a designer! Moody almost. I love the deep red and purples, the white and salmon…ah the whole broad spectrum of zinnias…it’s fantastic! I love all zinnias! I have a large bed that is exclusively zinnias. I always grow State Fair for continuous cuttings. Absolutely Love Envy for it’s incredible chartreuse color and the bright white of Polar bear (I think that’s the name) and tried cherry swizzle for fun. My absolute favorite last year was Queen Red Lime! I would love to add the scabiosa variety this year! Love your blog & Instagram feed – so inspiring! I certainly don’t claim to be a zinnia expert but I am going be expanding my knowledge on them in the coming years. One thing I know for sure is that I could really do with some on my desk right now to brighten up this very grey Washington day – how much longer until spring!! I’ve not had good luck in the past, mildew! But I’m ready to try again, they soooo colorful and happy! I must have! Zinnas were my first flower I successfully grew from seed! My favorite variety is Queen Lime Red or Burpee Rose Giant Cactus zinnias. I grow them because I really love them. I don’t get to use them in event work very often. So I fill my house with them!! My favorite zinnia? How could I possibly choose. I do however love Johnny’s Sunbow mix because the blooms are tiny little pops of color in the garden! These are beautiful! I would love to win some, I have never heard of this flower before but of is absolutley gorgeous!! I can’t pick a favorite, they are all so happy and pretty! This will be my first year bring a flower grower after 15 years of designing and 2 years at Big Mesa Farm. I couldn’t be more excited or scared to see what happens. These scabiosa zinnia would be a great addition to the 6 other varieties I will be raising this season! Thanks for the constant inspiration! Of the zinnias my favourite is the queen red lime. Thankyou for this opportunity :) I always have room more flowers in my garden…Cheers & hope you have a brillant weekend! These are fantastic! Fingers crossed! I love the boldness and reliability of zinnias. I would love to add the scabiosa-flowered zinnia to my garden this year! My favorite from last year was the lilac emperor cactus-flowered zinnia. These are the most adorable zinns….I would love to grow these in my little garden! How to choose a favorite…Green Envy, Salmon Rose, Queen Red Lime…. The Queen Red Lime had so much variation in color, size, and texture when I grew it last summer – hard to beat! Thanks Erin for another great giveaway! I loved using these this past summer. But my favorite? My heart belongs to Z. “Persian Carpet” They are so sweet and somehow pull the bigger summer blooms together in an arrangement. I don’t know that I can pick a favorite zinnia…but I do know I would love to give these a try! I love zinnias and the scabiosa flowered ones are my all time favorites. Erin, thanks for sharing information about these unique zinnias! As for my favorite zinnias, I like the salmon colored variety in a simple vase. The green zinnias always come in handy when arranging dahlias. They are a great filler contrasting our bright dahlias. I’m a Benary’s Giant fan myself-coated seed please! I particularly love the combo of the orange and wine. I also always do a row of Oklahoma too. I like the contrast in size between those and the Benary’s. I’m going to try Cupcake this season and give Zowie one more try too. Thanks for introducing us to another cultivar! Zinnias are such happy flowers! Last year I planted the Button (I think it was called) mix from Baker Creek and they were sweet little blooms… but there are so many beauties, I don’t know if I can claim a favorite. Last season my favorite was persian carpet. It always seemed to add that extra texture and brightness that arrangements and bouquets needed! Love that these scabiosa zinnias have the beauty and uniqueness of scabis without the finicky “pick me at just the right time” attitude. I’m quite partial to Peppermint Stick and of course, Benary’s Giant are always awesome! Giant Cactus Zinnia – the one with the red and orange whorls. It reminds me of sitting by the fire in the evening relaxing. I love salmon rose. All of them, really. I would love to add these to my zinnia patch during our hot Connecticut summers! Think I just found my new favorite! I love the variety of colors! I love the Binary zinnias. Coral, lime and and trying a wedding white this year! I am trying Queen Red Lime and Zinderella for the first time this year. Thanks for sharing! Hands down, Queen Red Lime Zinnias are my absolute favorite! Even as a little girl, pink and green was my favorite color combination. I can’t wait to grow the scabiosa variety too!! Zinnia Pumila. A classic that reminds me of the day my honey stopped at a kid’s roadside stand and picked up a bouquet of them for me — with me in the car. I knew then I had an amazing man. It was so romantic and planted the seed for having my own flower business one day. Can’t wait! I can’t help myself but State Fair has always been perfect to me. Bright colors on big flowers. I’m interested in the texture of the scabiosa flowered zinnias, they would be a beautiful addition to any summer bouquet. Thanks for sharing, Erin! I don’t have one favorite zinnia, but last year we grew orange ones that bloomed like crazy! I used some to dye wool yarn & it made a lovely golden color! Pinca is my favorite zinnia to grow. I’m a huge fan of the Salmon Rose, but love to include any cheery color in my summertime arrangements! This scabiosa variety would be a beautiful statement! Amazing :-) no favorites here but suspect I will have a few with the commencement of the next growing season! Thank you for obtaining and offering quality seed! Last year (my first year growing anything) I grew come and cut agains, Peppermint stick which was my favorite in terms of the wow factor! Big blooms with wonderfully strange variations in the coloring but short stem length, and Apricot Blush from Renée’s garden which were really lovely! I got a late start on them so I didn’t get as many blooms as I should have, this year I know better so I can’t wait to see what I get this time around! They are all beautiful, but the Queen Lime Red is my favorite. When I first saw it I fell in love with it. New to gardening, would love to grow them in my garden this year! My favorite are the Edwardian, they are so bountiful and happy. Zinnias are such wonderful flowers because they grow easily and in great number and allow me to make beautiful rich arrangements for so many people to enjoy! There is a tall deep red zinnia that grows in my garden. I have saved the seed for awhile so I don’t really remember its name. It’s the last to fade in the autumn. She garners lots of accolades from my friends! I love any and all zinnias! They are a summer staple here down South. These will be my favorite. I. NEED. them. Please count me in! I love all zinnias, but my favorite might be ‘Senjora’ zinnias–big and their salmon color is so lovely. Gorgeous! I really love the Magellan variety in either orange or scarlet. Big beautiful blooms on striking colors that always make my heart swoon. These scabiosa-flowered zinnias are gorgeous! I’ve never grown Zinnias before, but these have captured my heart and imagination. I’d love to add these to my garden this year (: Everything about them overwhelms me with joy! I love these scabiosa zinnias! I do not have a favorite but zinnias are in my top three fav flowers! I wish I lived closer to your farm but sometime when I visit my sis in Lynden I will be by! I am lucky to live nearby Verbena flowers, doing what you do on a smaller scale. Zinnias are gorgeous, whichever variety! We are new homeowners but don’t have extra funds for landscaping. I would love to win these seeds and make our house more homey! Oh, how sweet these are! It’s so tough to choose a favorite Zinnia, because they are so quintessentially summer (and so happy!) I always love the oranges, pinks, and corals- last year Queen Red Lime stole my heart! As a beginning flower farmer, just having a field full of zinnias is such a sight and blessing! Love this flower as it’s just the confidence boost you need to keep pushing and growing! It’s happy and blooms and blooms! Zinnias have held my heart for well over 30 years. We used them for our fall wedding and a year has not gone by that I’ve not planted row after row of zinnias. And my new favorite is ‘envy.’ I love to add zinnias to my mixed borders around the yard. The more the merrier! I like polar bear; they’re so clean, crisp, and simple… I’ve recently been become obsessed with scabiosa (particularly black knight), however, and would love to grow a sort of combo of two of my favorite flowers!! I have never grown these but would LOVE to! They are gorgeous and would look beautiful in my yard! Love zinnias, they make me think of my mom. State fair is my fave. I love all the Benary colors of zinnias! But Queen lime red is my favorite now! Ah! These might be my new favorite, but my other favorite zinnias are the queen red lime zinnias and the giant salmon rose zinnias. I’m in awe of these, they’re little gems. My favorites are Benary Giant Lime , coral, salmon rose, Zinnia Zowie!Yellow Flame, and Queen Red Lime! Until your photos Zinnias didn’t really excite me. I know why people grow them now, easy, lots of colors and boy do they produce! Last year’s favorite was Zowie. Zinnia!!!! My Favorite flower. So easy to grow from seed. My daughter moved into a new home last year and I encouraged her to try zinnia’s from seed. She’s hooked! I love all the bumbles and butterflies they attract. Picking one would be so hard …. But I do Love Green Envy! I would Love to share these seeds with my daughter! My favorite zinnias are the dahlia type, but I think these ones are now my fave! I love growing zinnias around my veggie garden. One of my faves!!! One of the first flowers I ever grew from seed was the Zinnia. At my home, I created a community u-pick garden. I would quickly run out every morning and cut all the pale pink ones that opened overnight. I would just adore to win seeds of a new variety! I love any of the giant zinnias! Looking forward to trying these frilly and feminine ones though this summer. Can’t wait for the cold winter to be over and spring planting to begin! I love ALL zinnias, the Benary’s Giant are spectacular, with exquisite colors. I love ‘Green Envy.’ There is something so cooling about it mixed amongst all the hot colors of zinnias. Hooray for fun varieties! My mom introduced me to Benary’s Giant Salmon Rose. I think of her every year when I order them. Thanks for the growing tips on the scabiosa flowered zinns! Wonderful, It is so exciting to see a ‘new to me’ flower variety. Zinnias are a great flower for us here in Texas. I can not pick a favorite color because I love them all. I really adore the coral/ salmon colors and we grew some ‘orange kings’ from Baker Creek that were oh so vibrant in the summer sun. oh, i LOVE all zinnias!! they are my absolute favorite, and i plan to grow every variety i can this year to use as decoration for my wedding! these would be an absolutely wonderful addition :) thank you for sharing! I’ve not seen this variety and I’d love to try it. My favorite zinnia from last year’s garden were the huge orange dahlia zinnias! My favorites are probably Salmon Rose or Benary’s Giant Wine – the two together are very pretty! What an awesome flower! I have a soft spot for all kinds of zinnias, and find that each kind has their own individual charm. I would LOVE to try these out in the field this year!!! My favorite zinnia last year was Pink Señorita from Baker Creek Rare Seeds. When I started growing flowers these were the first flowers I grew.. I love the pink giant zinnias, they bring joy inside the house. Then you can see the individual flower. Thanks for all the encouragement. Zinnias are my now-grown daughter’s favorite warm weather flower…we would always plant them in the spring together . The zinnias I have planted most recently are “Cut and Come Again”…such great flowers to take to friends! No matter the type zinnia’s always give me joy. These are amazing! I have a soft spot for most all zinnias, as they always remind me of being a child, full of wonder, in my fathers flower garden. I am especially fond now of the smaller headed varieties like Persian carpet and the lillipot and Oklahoma series. Excited for spring!! These are so darling! I love the Queen Red Lime and I love that they are easy to grow! Zinnias were my staple flower for my first year at growing flowers in large quantity last year, and all of the Benary’s series blooms were sooo wonderful! I also LOVED the tiny little ‘Sunbow’ series by Johnny’s. And I’m so excited to grow Queen Red Lime this year – ah zinnias are just my favorite!!! I love all zinnias soooo much! I grew up with a garden full of zinnias at my grandparents house, they were my Papaw’s favorite flower! Neither of my grandparents are with us anymore and it brings back so many memories when I look at my garden of Zinnias!!! These are adorable! I have always loved white zinnias in my flower beds but I’m expanding this year to include more color and varieties! These would be a fantastic addition! I grew Benary’s Giants, Cactus Flowered and Lilliput zinnias last year. I loved them all! I’ve always been drawn to the cactus ones but have found they don’t hold up as well as the others in the vase. The lilliputs were great, it was nice to have a smaller brightly colored accent flower to work with. These in this post look great! I love cut flowers but have never had much focus in growing them. This year we are drastically expanding our garden and I would love to put in some zinnias. I love their friendly faces! So wonderful to think of Zinnia’s this time of year in the midst of winter. I grew Zinnia’s for the first time last year. I love the memories of mornings in the Zinnia patch seeing the sun rise and waking up the bumble bees still snoozing in the Zinnia’s! My favorite Zinnia thus far although I know I have many more to discover was the Salmon Rose Zinnia. It has such a beautiful soft color that added a touch of class to my bouquets! I grew zinnias last year from seed I saved and spent the summer in the company of humming birds and butterfies! Zinnias have and will forever have a spot in my gardens. Last year was my first year planting zinnia. I was not sure what to expect and not sure if I would even like them. When they bloomed, I was so excited! I love what they bring to my floral designs. This year I ordered 4 new varieties and can’t wait to plant them! I enjoy them all! My absolute favorite zinnia is the giant lime zinnia! I love greens! I am also eager to get my hands on scabiosa zinnia, Persian carpet and queen red lime zinnia!!! Beauties! No matter what varieties I have growing and available at my farm stand they sell like hot cakes People (myself included ) can’t resist them! Wow-I was just looking at these in your store last night and you are right-they are unique! I planted benary giants last year and also the hot pink ‘Uproar Rose’. The cactus flowered ones are also fun to sell at our market. You have cast a ‘flower spell’ on all of us-we all want more! There has not yet been a zinnia I’ve met that I didn’t adore in some way. My mom always grew them when I was growing up, so I have many summer memories involving their cheery blooms. Last season I fell for the Persian Carpets, they’re more dainty than your typical zin. This year I am stoked about giving the scabiosa-flowereds a try! Oh these are so beautiful!!! Favorite is queen red lime. My eye is able to spot it no matter how deeply it’s hidden in an arrangement. Thank you for all you do for the rest of us! I have enjoyed reading about your journey, and I’ve ordered 3 of your growing guides over the past few weeks: sweet peas, dahlias and now zinnias. I’m way down here in South Carolina, so I have to take climate differences into account, but I really like the way you write and explain your process. Thank you! All summer long, I keep vases of fresh cut zinnias throughout my house. I would definitely love to add these little ladies to the mix. I don’t have a favorite zinnia, I just like the big, bright, boldness of them. I was really struck by the pictures you posted last year of these zinnias, super excited to get the chance to give them a try! Wow – these are really cute! I’m growing Queen Red Lime for the first time this year – I hope it’s my new favorite! The scabiosa flowering zinnias are positively adorable! Their shape reminds me a bit of the anemone dahlias minus the bent back petals. Zinnias in their rainbow of colors are a standing favorite in my garden with Benary’s Giant Lime being my favorite. Thank you for bringing your continued inspiration to all of us! !